Havent bought a bike since 2013. Pick up my new 2018 V1000 soon. Have a 100 mile ride to get her home and was wondering how accurate is the speedometer? Funny you ask. Annoyingly off. I have 2018 1000 xt and tonight I went out with gps to see how off it was. Between 30 and 70 mph it’s about 3mph off to the high. Above 70 mph it’s 4 mph high. 74 to 75 is 70 mph on gps. 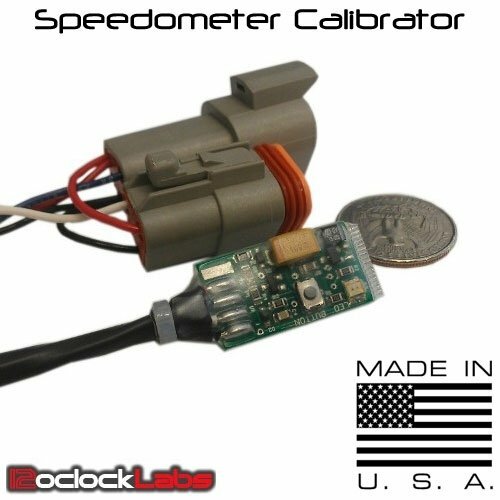 Debating if I should get speedo fixer gadget. Aka whatever it’s called to make it accurate but I think it messes with odometer then. If the speedometer is off, wouldn't the odometer be off as well? It's something I've wondered about on my 07 Wee, on which the speedometer always reads about 7% high. No. Strom speedo's are off about 7 or 8 %. The odometer is within a couple of percent. Think of speedo and odo as different devices. For various reasons Suzuki has decided to show the speedo as (about_ 8% optimistic an dhas decided to show the odo as almost right on. Mine has always been 8% optimistic. I'm assuming that Suzuki's lawyers are the reason for it. Yes, I have found that both the 2013 VStrom 650 and the 2018 VStrom 1000XT read low in terms of miles per hour. I've always chalked it up to a conversion error (kph to mph.) No idea if that is true or not, but it does consistently under report miles per hour. Don't know if I am misunderstanding you or you are mistaking things. Every stock strom I have ever ridden or heard of displays the speed roughly 7 or 8% higher than the actual bike speed. Ie if the actual speed is 60 mph the speedo will display 64 or 65 mph. If the speedo displays 60 mph the actual speed is around 56 mph. If the actual bike speed is 100 kph the speedo will display 107 or 108. Kph. If the speedo display 100 kph the actual speed is 93 or 94 kph. Last edited by V-Tom; 04-10-2019 at 05:22 PM. This comes up on all the motorcycle forums I've been on. There are regulations that state that the ODO has to be accurate and the speedo can't show less than the actual speed. Bike manufacturers always make the speedo read high I'm guessing for liability reasons. Probably generate some class actions suits if they were 8% low! My 14 Wee was 10% off from actual GPS speed. I used a SpeedoHealer to correct mine. The correction factor was -9.1 and I'm about dead Nutz on now. I beg to differ on the Odo being Different than the Speedo unless it uses the ABS Tone rings to calculate mileage. If it uses the speedo sensor on the front Sprocket it would be off by the same percentage. I am pretty sure Suzuki does it so they can Cheap out on Factory Warranty by as much as 10% multiplied by Millions of bikes sold = Major corporate Savings! sounds like class Action Suit Time to me.